Hooray for waking up to "more" daylight! Like us, plants need sunlight to survive. It gives them the energy they need to photosynthesize, which is basically how they eat and breathe. If they're not getting enough light in your home, you'll start to see them struggle. Most plants would appreciate at least 6 hours of bright sunlight. If that's just not possible in your space, here's what you can do. Next to a window receiving bright light is ideal for most house plants. You can keep your plants farther from the window, but then you'll need to be extra careful about not overwatering. If your plant is in a shadier spot, rotate it once a week to give its foliage equal access to light. If you're risking a spot where there's really little light, you can try fulfilling its needs with an artificial grow light. You'll need to keep it on for at least 6-8 hours. The right balance of light and water in relation to the temperature and humidity of your space is all they need all year round. Just like you feel the change in seasons, your plants feel it, so make sure to take care of them as you do yourself. 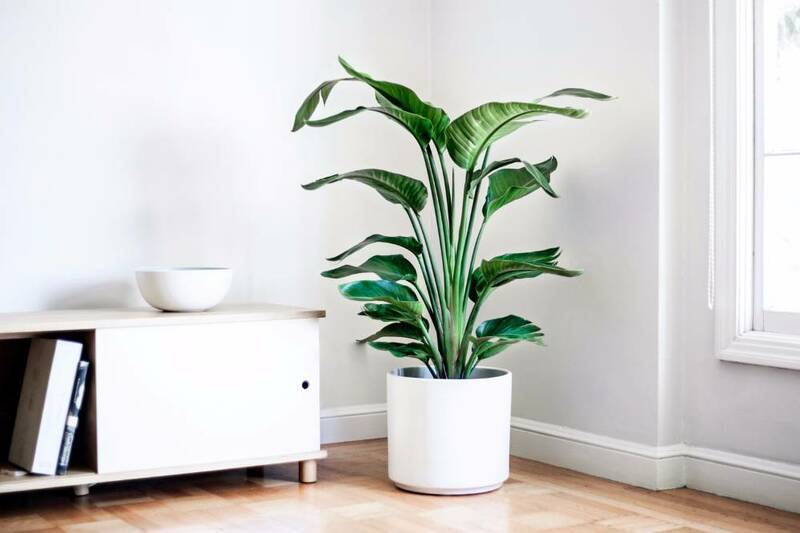 A popular indoor plant for creating that instant jungle atmosphere. Behind the Business: Shop Smart. Vote With Your Wallet.